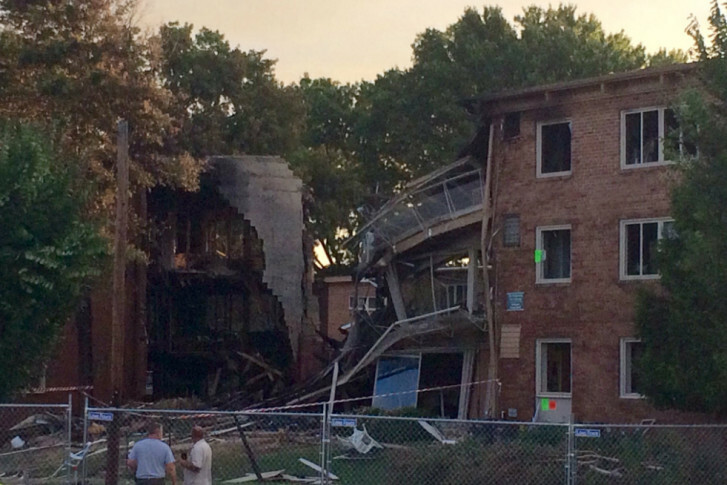 Updated on 8/14/2016 at 10:30 a.m.: Four bodies have been recovered and at least four others are missing in the Silver Spring apartment explosion. 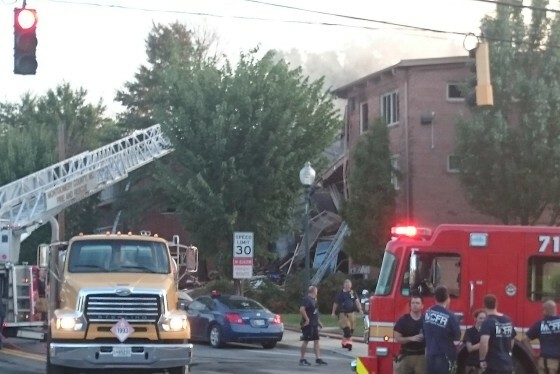 WASHINGTON — A third body was found in the remains of a Silver Spring apartment Friday following an explosion and fire Wednesday, Montgomery County police said in a news release. At a news conference earlier Friday, Montgomery County Assistant Police Chief Russ Hamill said police believe “a number of people are still in the remains” of the apartment. Three people have now been confirmed dead and a total of 34 were taken to hospitals after the explosion and blaze ripped through the Flower Branch apartments on Piney Branch road late Wednesday. But police said they still don’t know how many residents are still unaccounted for after the blast, and they continued to call for the public’s help in identifying and locating residents. So far, police have accounted for about 110 people who lived in the complex, Hamill said. All residents who were hospitalized have been identified, he said. Hamill encouraged members of the public with information about the whereabouts of building residents or residents to contact police by using the county’s 311 system or by calling 240-777-0311. Montgomery County Executive Ike Leggett told WTOP Friday morning “the best indication” was that at least five people were still unaccounted for. However, at the Friday afternoon news conference, Hamill said police were not prepared to confirm the number of missing people. Police recovered the first two bodies from the rubble Thursday, but police had not been able to determine the age or gender “due to the conditions of the bodies,” Hamill said. The third body had also not been identified, police said in a news release Friday night. The Montgomery County Fire Department and the Bureau of Alcohol, Tobacco, Firearms and Explosives continued to investigate the scene of the blast on Friday. Fire and Rescue Service Division Chief David Steckel said the remains of one of the buildings is still in danger of collapse, which has hindered investigative efforts. A special ATF team that focuses on large-scale incidents is investigating the cause and origin of the blaze, said Jeff Matthews, assistant special agent in charge of the Baltimore ATF field office. That investigation will determine whether the fire was accidental or intentionally set, he said. Residents reported smelling gas before the explosion, and officials responded to calls for a potential gas leak at the complex on July 25. “We too believe there might be some connection to the natural gas but that has not been confirmed,” Leggett told WTOP Friday morning. At the afternoon new conference, Leggett said the complex was last inspected in 2015. Many of those who lived in the Flower Branch Apartments recently moved to Silver Spring from Guatemala and El Salvador. Some have documents allowing them to be in this country, while others do not, officials said. Montgomery County continues to work to reunify families at Long Branch Community Recreation Center, at 8700 Piney Branch Rd.